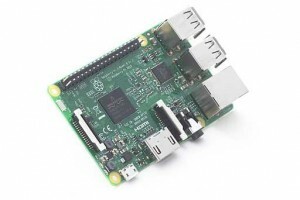 On the fourth anniversary of the Rasperry Pi the foundation announced the release of Pi 3. Happy borthday and congratulations on releasing the successor to the Pi 2 model B. What makes this model most interesting to me is the built-in wifi. While I’ve not had a chance to work with it yet a Reddit thread suggests AP mode is supported. This means it can work as a wifi hotspot, albeit with very short range. While it’s always been possible to built a Raspberry Pi hotspot using USB wifi adapters not all worked reliably and many adapter chipsets didn’t support AP mode. Having a built in wifi chip suggests the codebase will be stable and easy to work with.